You won't slip, but you might fall heads over heels for it. 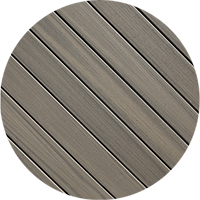 With its super-resilient surface, slip-resistant patterns and gorgeous hardwood colours, Fiberon Paramount PVC Decking is something extraordinary. 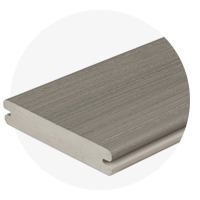 It has a durable co-extruded surface that's bonded to the core to create a hard-wearing yet lightweight, easy-to-handle board. There's no organic content to promote mould growth, but there is exceptional resistance to moisture, dents and flames (this product has a U.S. Class B fire rating, for example). Wood decks simply can't compare. 25 mm x 139 mm, available in 3.66 and 4.88 m lengths. Designed for use with hidden deck fasteners. Provides a smooth, fastener-free surface. 25 mm x 139 mm. Available in 2.44 m lengths. 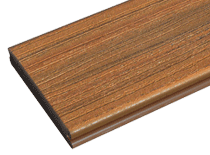 Use for stair treads and for picture framing. Designed specifically for Fiberon PVC grooved terrace boards, PhantomHP and Phantom20EC Hidden Fasteners provide a fast and simple way to create a smooth terrace surface uninterrupted by visible screws or nails. Symmetry Signature Railing has a sculpted top rail, sturdy aluminium sub-rail, and elegant yet durable satin finish. Available colours: Tranquil White, Serene Black, and Simply Brown. Fiberon Paramount Decking is backed by the following two warranties. See complete details at the links below. How do I clean Paramount decking? For general cleaning, use soap and water or mild household cleaners such as Simple Green. Follow the manufacturer's instructions and test in an inconspicuous area to make sure cleaner does not harm the decking surface. 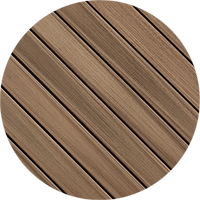 What types of welcome or grill mats are recommended for Paramount Decking? 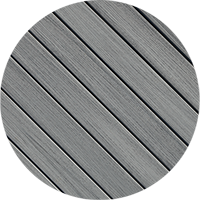 We recommend colourfast woven mats or polypropylene mats on Paramount Decking. Avoid the use of rubber, latex or vinyl products on Paramount Decking as a reaction could occur resulting in discolouration under the rubber, latex or vinyl product.